Motorbase Performance is set it make its long-awaited return to the Porsche Carrera Cup GB Championship, running newcomer Dan Vaughan in the Am Class for the 2018 season. The multiple Championship-winning outfit last competed in the Carrera Cup in 2011. After initially joining the grid in 2004, David Bartrum’s team competed at the very top of the championship for seven seasons, securing the Teams’ Championship title with a four-car strong squad in 2010 and amassing an impressive 26 race wins. The Kent-based outfit also has a long and successful history with Porsche. Following its triumph in the Carrera Cup, the team then moved to the British GT Championship in 2012, claiming the Teams’ Title on its debut season before clinching the Drivers’ crown in 2014 with the 911 GT3R – affectionately known as ‘Fat Max’. 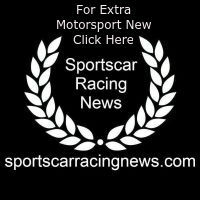 “Motorbase has a long and successful heritage with Porsche;” said Team Principal David Bartrum. “We started our business around the brand in the Carrera cup back in 2004 with Andy and Gary Britnell. The Porsche Carrera Cup has played a massive role in our history, and helped set us on the road to where we are now. “I’m very excited to be returning for 2018;” added the Team Boss. “We have a young and exciting driver on-board in Dan Vaughan who has come over from radicals. We’re coming back in a low key way initially and concentrating on getting Dan started on his journey with Porsche. With a bit of luck we’ll get some great results and move on from there. 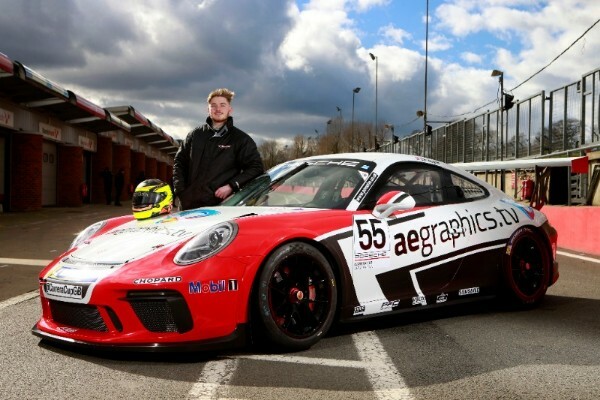 20-year old Dan Vaughan makes his step up to the Carrera Cup after previously running in radicals and the New-Forest based driver was eager not to miss out on working with the team which has such a strong legacy in the Carrera Cup. “I’m really looking forward to racing for Motorbase in the Porsche Carrera Cup GB this season;” commented Vaughan. “The success that they’ve had in the past, in every class that they’ve competed in speaks for itself and I’m extremely proud to be representing them in what has always been a hugely competitive category. The official season launch for the 2018 Porsche Carrera Cup GB takes place at Silverstone on Monday, March 12th before the opening round of the season on the Brands Hatch Indy circuit on April 7/8.